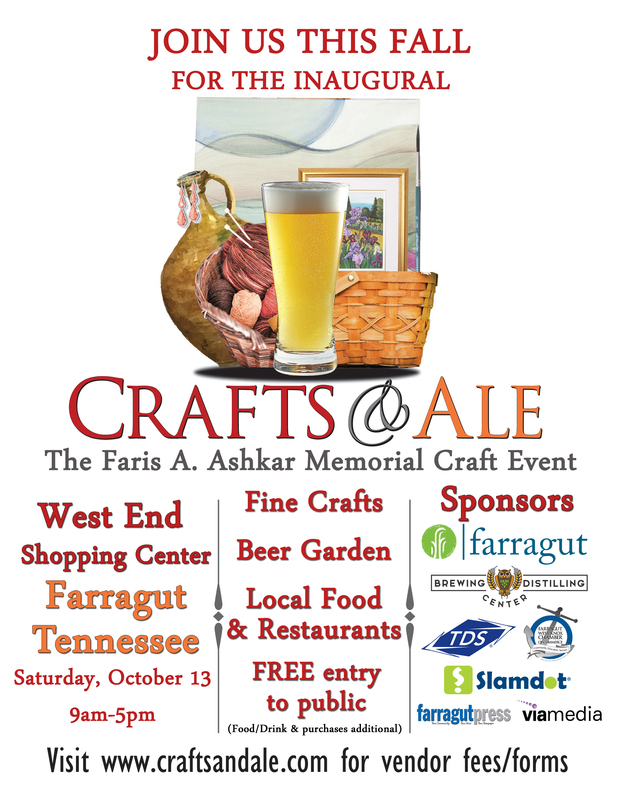 On behalf of the Board of Directors for the Farragut West Knox Chamber of Commerce, we are thrilled to introduce the inaugural Crafts & Ale festival event coming Fall 2018 to the West End Shopping Center in Farragut, TN. Featuring fine local crafts, a European-style beer garden with craft brewers and food vendors, we look forward to this community event showcasing local talent and the best “Craft” items in the area. Crafters/Exhibitors are encouraged to apply for a vendor space! We hope you will be a part of this event as a sponsor, exhibitor, vendor or attendee! Do you want to be a Vendor? Our volunteers help us make the day of the event run smoothly! Sponsors receive excellent promotion and advertising while making the event a success!